Delivered April 2nd, 2017 to May 18th, 2017. 52 athletes participated in the Pilot Program. Competitive training environment for Cadet and Junior athletes preparing for 2017 Canadian National Championships at the end of May. Senior athletes participated for their international competition preparation. Partner with BoxOut to establish baseline testing for Taekwondo on benchmark testing, to develop Taekwondo testing to support training and competition. Nutrition sessions for athletes and parents. Recovery sessions in swimming pool. Click here to see the training schedule. Taekwondo Ontario (TO) is introducing the Athlete Development Program to provide Ontario Poomsae and Kyorugi athletes’ quality training and sparring partners in a competitive environment. To maximize training benefits, Club Coach may work with coaches and athlete(s) following same comprehensive training plan. 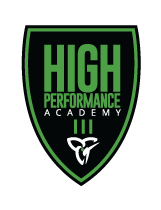 Drop In sessions available for athletes outside of GTA. Attract more competitive athletes/coaches by promoting program benefits. Training/sparring schedule will be based on a weekly rotation of CADETS, JUNIORS and SENIORS for both POOMSAE and KYORUGI. i.e. Cadets only and Junior/Senior. Adding Poomsae into the Athlete Development Program. Offer a comprehensive yearly plan for the future success of this type of program. Adequate training space based on number of active participants. *Limit is 45 max for each group. Participants will receive TOADP t-shirt. Payment is made in cash or post-dated cheque only, before start of first session.